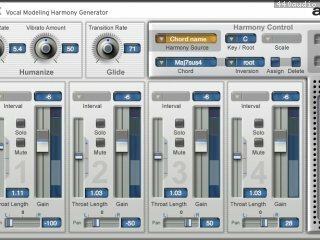 Harmony EFX is a streamlined (and incredibly affordable) version of our industry-leading Harmony Engine Evo Vocal Modeling Harmony Generator. Based on the same groundbreaking Evo Voice Processing Technology as its big brother, Harmony EFX puts professional quality vocal harmony arrangements within reach of any musician or engineer. Whether you're an experienced vocal arranger, a songwriter looking for that perfect backup vocal, or a composer experimenting with unique vocal effects, Harmony EFX gives you entirely new ways to create the harmony parts you hear in your head. These releases provide improved automation performance in some hosts. The VST PC version resolves a potential crashing issue introduced in Sonar 8.5.